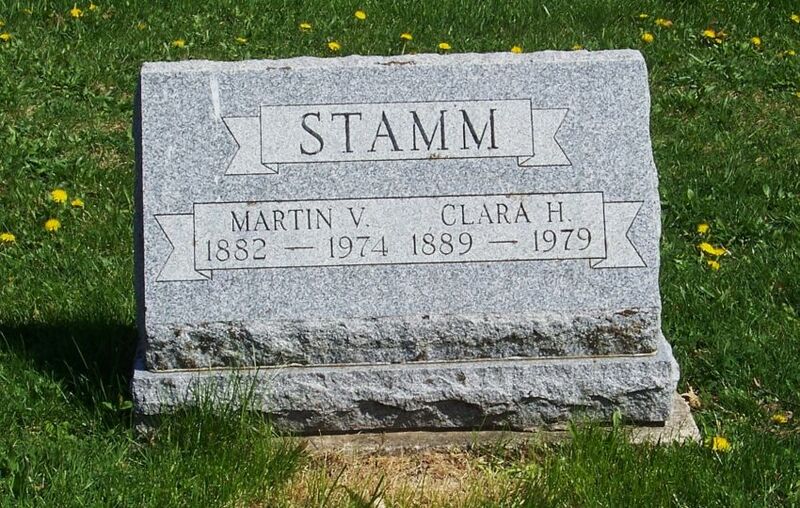 Martin Victor Stamm, born 1 March 1882, was the son of Peter and Mary A. (Breuninger) Stamm, of Harrison Township, Van Wert County. He died 30 March 1974 in Fort Wayne, Indiana. Clara was the daughter of Christian and Margaretha (Haffner) Kessler, born in Chattanooga and from the Zion Chatt parish. 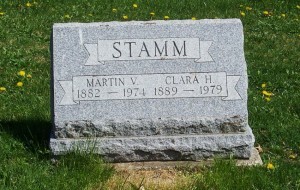 Martin and Clara were married 7 April 1907 at Zion Schumm. The couple had three sons, Russell, Archie and Orval. What is interesting is that I am related to both Martin and Clara. Read on to see how. WILLSHIRE—Martin V. Stamm, 92, of Willshire, died at 11:55 a.m. Saturday in the Lutheran Home in Fort Wayne. He had been a resident at the home since Feb. 26 and had been in failing health for a week. He was born March 1, 1882, in Harrison Township. He married Clara Kessler on April 7, 1907. She survives. A retired carpenter and farmer, Mr. Stamm was a member of the Zion Lutheran Church in Schumm. Also surviving are three sons, Russell A. of Fort Wayne, Archie C. of Toledo and Orval P. of Atlanta, Ga.; a brother, Richard L., of San Diego, Calif., three grandchildren and a great-grandchild. 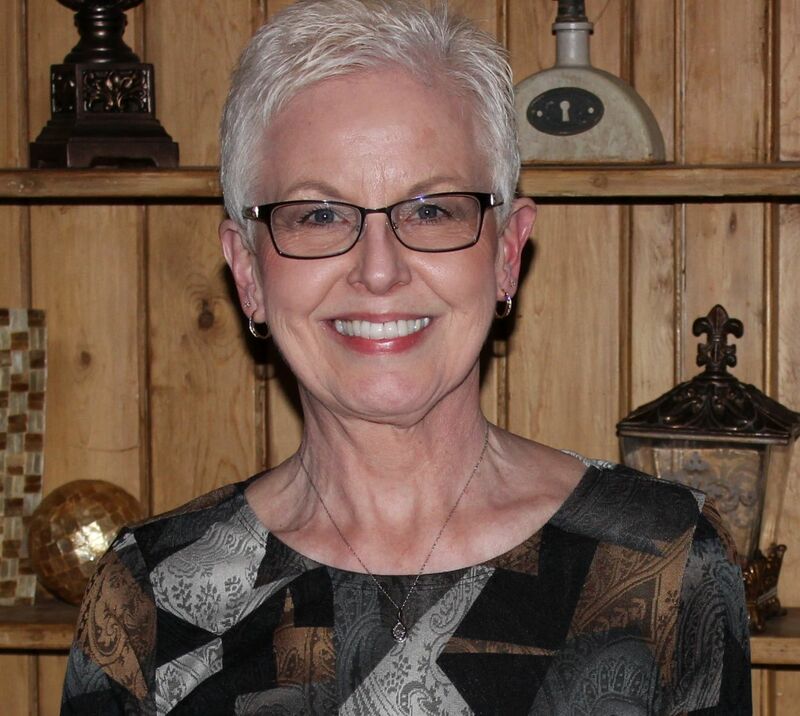 Funeral services will be held at Zwick Funeral Home in Decatur, Ind., at 2:25 p.m. EDT and at 3 p.m. EDT in Zion Lutheran Church, Schumm, with the Rev. Robert Schuler officiating. Burial will be in the church cemetery. Friends may call at the funeral home from 3-9 p.m. EDT Tuesday and Wednesday until the services. Martin’s birth and baptism were not recorded in Zion Schumm’s records. According to the records of Zion Chatt, Clara Henrietta Kessler was born 16 February 1889 in Chattanooga to Christian and Margaretha (Haffner) Kessler. Clara was baptized 7 April 1889 there. Witnesses to her baptism were Jacob and Maria Kessler and her parents. The pastor was P.J. Oilkers. Clara died 20 February 1979 in Fort Wayne, Indiana. Clara Stamm, 89, a resident of the Lutheran Home in Fort Wayne, Ind., and a resident of Willshire, for many years, died last Tuesday at her residence. She had lived there since 1974. Born in Ohio on February 16, 1889, she was the daughter of Christian and Marguerite Kessler, and was married on April 1907, to Martin V. Stamm, who died March 31, 1974. Survivors include three children, Russell, A. Stamm, Fort Wayne, Archie C. Stamm, Palmer, Alaska, Orval P. Stamm, Atlanta, Georgia; one sister, Mrs. Marion (Frances) Watkins, Rockford, Illinois; three grandchildren; and four great-grandchildren. So how am I related to both of these people? Martin’s mother, Mary A. Breuninger, was the daughter of my great-great-grandfather, Louis Breuninger, making Martin my first cousin twice removed. Clara’s grandfather, Christian Kessler, was a brother to my great-great-grandmother, Marie Kessler, the mother of my great-grandfather Jacob Miller. Clara was my second cousin twice removed. This proves once again that it is a small world indeed. The Van Wert Times Bulletin, Van Wert, Ohio, 1 April 1974 p. 2. The Photo Star, Willshire, Ohio, 21 February 1979. Your example clearly illustrates that fact that you have mentioned several times that folks frequently married within relativlely small communities (physical area of 3 mile radius). The role of church or religion is also rather prominent in this family history, as I suspect it was in most for the time. It seems logical that mobility was a key factor in these events, as it was difficult to make contacts outside a limited area of geography. What happens if we extrapolate this concept back into time? Forward? Perhaps we might see new insight into many attitudes and behaviors such as marriages between races, religions, even geographical regions (ie mountain or hill folk and flatland farmers or city dwellers). Change seems to have come very quickly. Imagine how different mobility was from the birth time of Martin and Clara when virtually no one would have traveled (probably not even known about) Ft. Wayne, to the time of their death when family likely routinely traveled to Ft. Wayne to visit them in the group home. Granted this was a period of nearly 100 years, but such a small space in the history of our family trees. Do you have any notion what the modern equivalent statistic would be for the “3 mile rule”? While it is clear from our own family history that most marriages were between individuals living in very close proximity in pre-1930 era, the same family history will show that post 1950 or so, marriages are between widely separated individuals. Perhaps because of social trends for hot blooded youngsters to go off to distant colleges, or simply our mobility. Even schools for children are now more than 3 miles apart (merger of Willshire, Rockford and Mendon now bring kids together from as much as 20 miles apart), so kids have much greater exposure to more distant candidates as their thoughts turn to romance. This in contrast to the old school system that had a one room school building roughly within a mile of students (so they could walk to school). Many of these old one room, brick school houses still dot the landscape in the Mercer county (or state) region. The one my father attended just recently was removed after falling down, but your photographs clearly document many others in the area (Chatt). I don’t know if there are any current statistics on the distance people travel to find a mate these days. With the ease of today’s travel, and therefore “shrinking” the globe, I think it would be difficult to gather those statistics. Today there are many more opportunites to meet people from various and distant areas than there was over one hundred years ago. Back then most of people’s lives seemed to revolve around their immediate family & neighbors, the church, and their farm. I’m sure going to church was an important event for them, not only to worship, but to see and communicate with a number of people from the area. Many were in the same place at the same time. Church was probably considered somewhat of a social event and therefore where many met their future spouses. Add in computer dating/matching and the internet can connect folks around the “shrunken” world. However, the statistics should be rather easy to collect from marriage license data as such facts are typically recorded. I would suspect that is where the original data was generated. In this data crazy world, there has to be a computer somewhere dedicated just to this information.